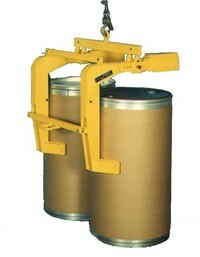 Model LOM-1-HCB-BC - Below-hook attachment for handling one steel, fiber or plastic drum weighing up to 1,500 pounds. 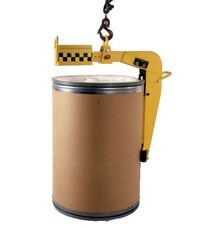 Unit attaches directly to any suitable overhead hoist or crane. Equipped with spring loaded Parrot-Beak clamping assembly and padded belt cradle for cushion to drum side wall. 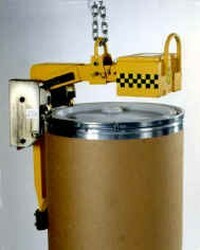 Model LOM-1-DCM-HCB-BC - heavy-duty below-hook attachment for handling one steel, fiber or plastic drum weighing up to 2,000 pounds. Automatic and mechanical, the unit attaches directly to any suitable overhead hoist or crane. Please call ZORIN (888) 378-6525 for details.